This certainly is not my usual kind of post, but I mentioned in yesterdays post that I would share with you the excitement of last weekend. KBJ and a friend had decided to allow themselves to experience a day of adrenaline rush that called for a certain level of guts and athleticism, or maybe just a bit of craziness. It involved a different kind of horsepower than the magnificent equine kind. 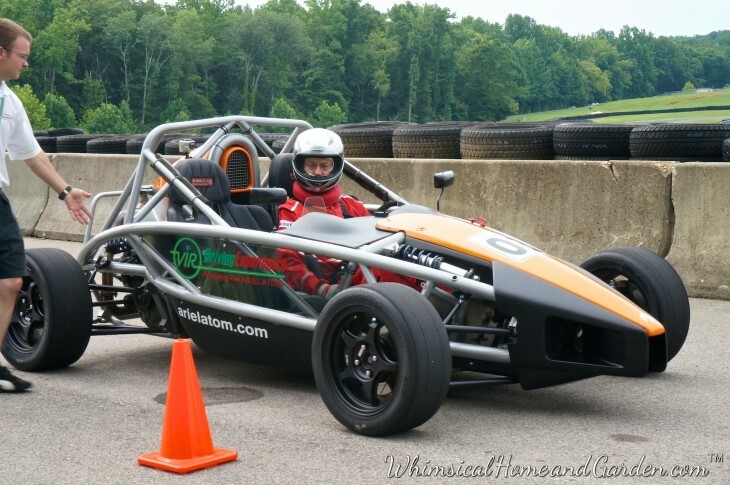 Have you ever heard of Ariel Atom race cars? I hadn’t either, but I know all about them now. 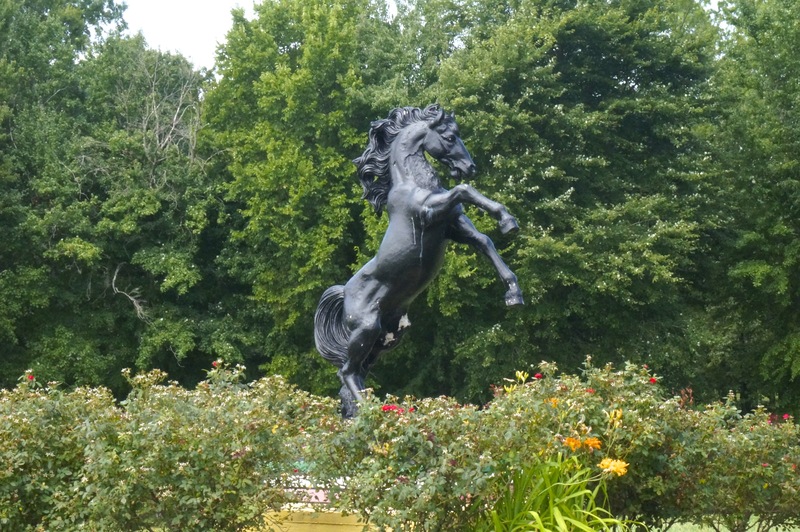 Their excursion was to take place at a racing club and resort situated on 1200 beautiful acres along the Dan River. 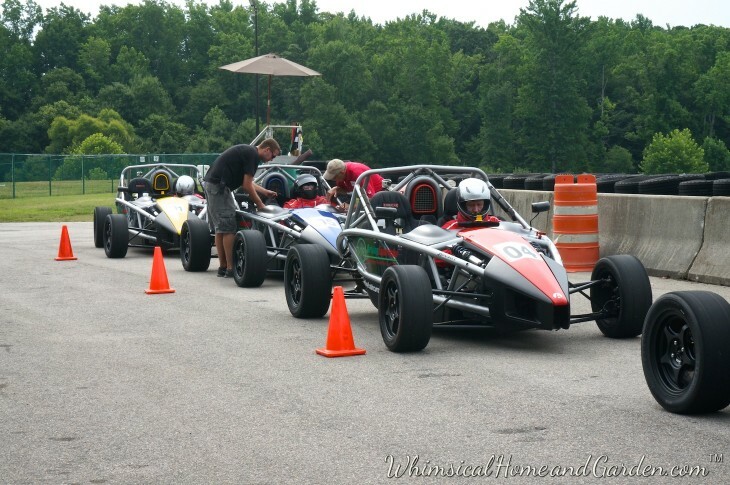 It is a members only facility that opens up a driving experience to others 14 times a year. I have to say it is not at all what I expected, with full resort amenities and lodging. 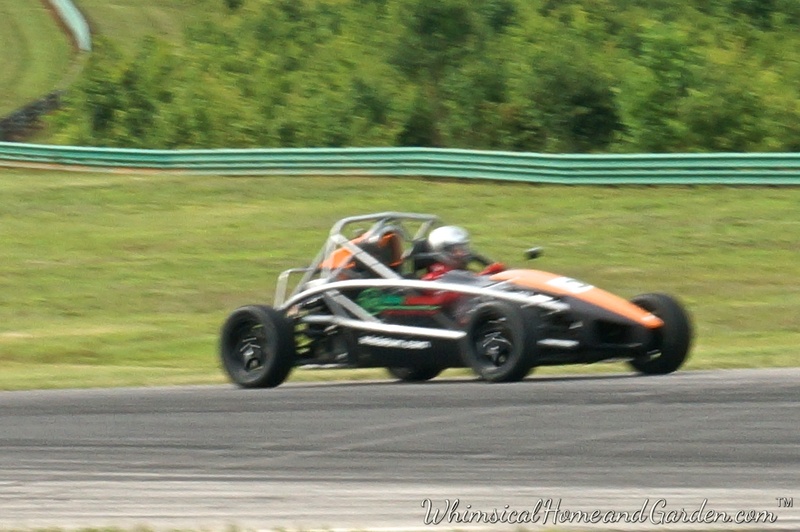 VIR International Raceway. Paul Newman himself called it heaven on earth, so who am I to think otherwise? And no, it is not about racing this horse power. However, this statue greets you at the entrance to one of the racing areas. Of course I had to take a photo. Pretty nice racing vehicle, yes? And boy do they have zip…..hold on baby! 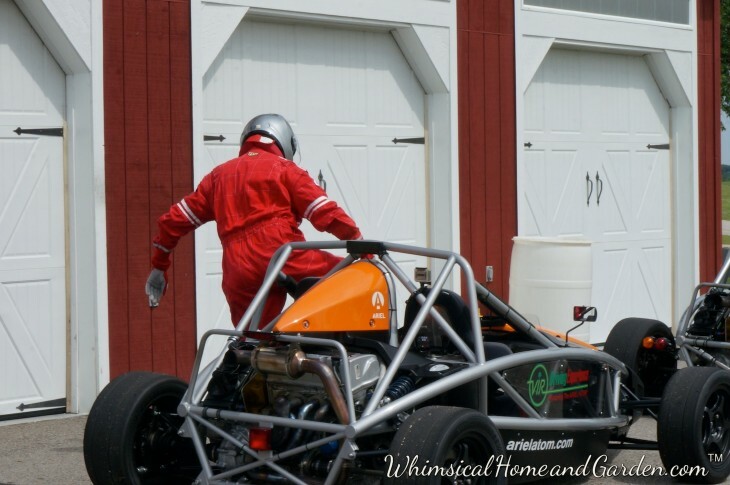 When I first saw the image above and kbj told me that he was going with JH for a “race car driving experience”, I first thought, ok, there goes my best friend out of my life! 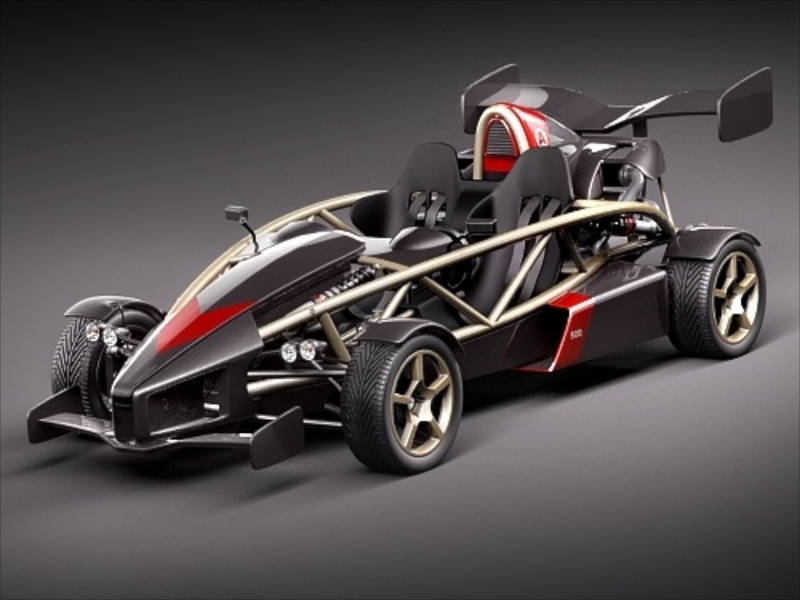 Open frame race car, at very fast speeds on a twisty, challenging, undulating and very quick track. Oh yeah, and if you crash it, you are responsible for collision! He assured me it was ok……”we have to attend class first.” Okey-dokey, that makes me feel a whole lot better (not really). He asked me to come, and I declined. I didn’t think I should go and interfere with a guy bonding day. Next thing I knew, he said JH’s wife was coming and I should also. We would go the night before, enjoy a dinner (last supper?) at a well known restaurant. I caved. They left for class early in the morning and when I got there, they were suiting up for their first driving session, which would be at the slowest speed of the 3 sessions so they could get used to the course and the car. 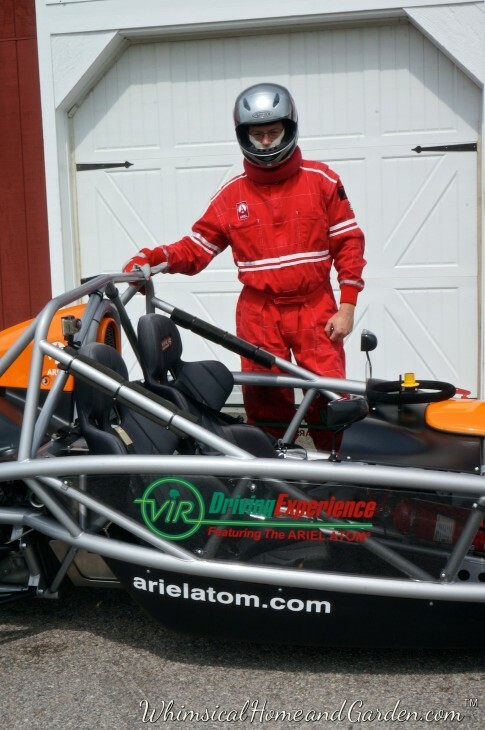 Suiting up means fire suit under the driving suit, crash helmet and neck brace, and rocket astronaut strong seat belts. 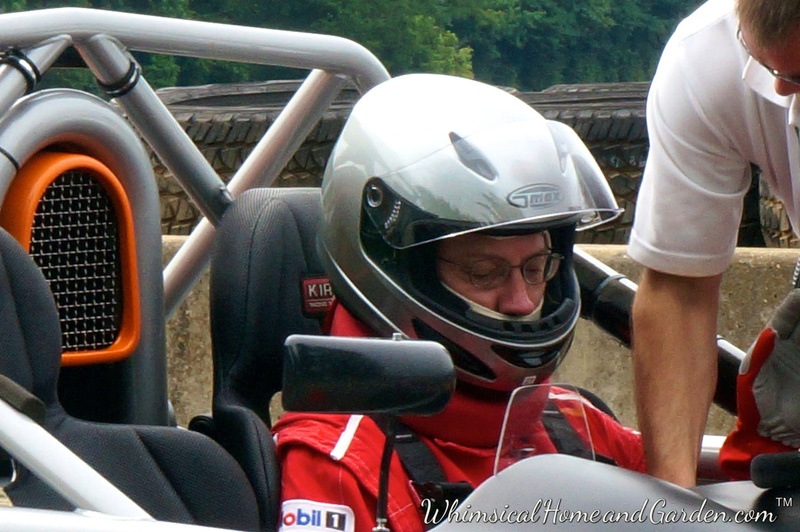 There were 4 other drivers in his group plus the lead car that shows you how to drive the curves and keeps the speed appropriate. KBJ was in the orange car. Here they have several checks they go through by multiple checkers. It was during this check time I got concerned when one of the checking guys had JH’s steering wheel in his hand!!! He had to do a bit of finagling to get it snapped into place. I had been watching the excitement in KBJ and JH’s faces, and they were ready to go. They even gave us a thumbs up before they got the “gentlemen, start your engines” command. All ready and raring to go! KBJ was second in line and JH right behind him. And off they went, and fast!!! 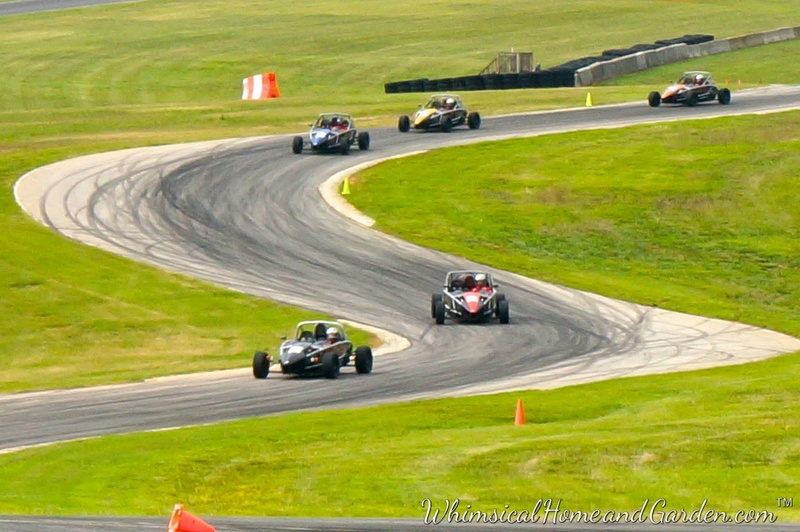 I was amazed how fast they were out of the starting area and onto the track. I thought they were going to go slow the first session! They were very nice and let me take photos as long as they were on the track and I stayed behind the tires and concrete. I went out to the end and captured some nice photos. It was a good thing that I got them during the first two sessions, because by the third they were going so fast and passing each other that even with rapid fire I still got empty frames….no images! Here are a few I did manage to get. Notice all the black marks on the track??? When they come through those corners they are moving incredibly quick. 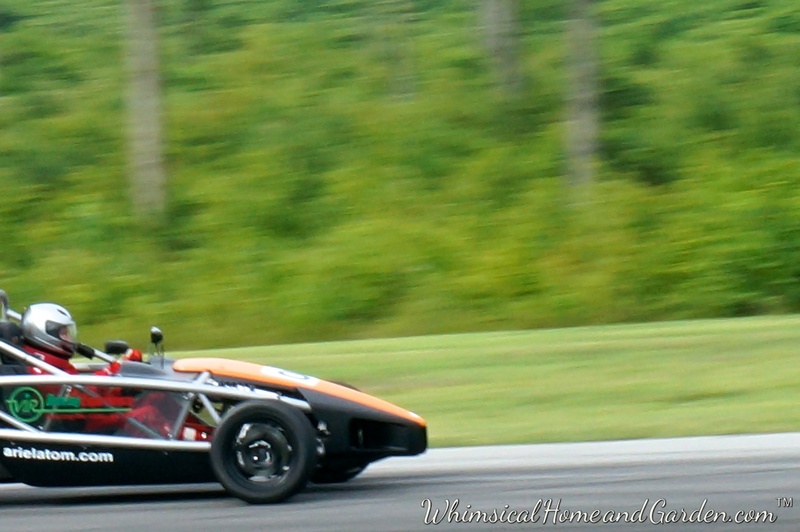 I love this photo…..you really get a sense of how fast they were going. You can see through the side of the car, which I though was a cool design feature. Last session……time to go. See that little square thing attached to the bar? It is a video camera. The last session, when they were flying around the track, it recorded the entire session, so he has a permanent record of his day. This is where we enjoyed a wonderful dinner. 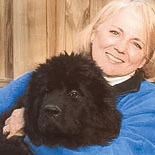 Chef Margaret Moorefield is one of the top 1% of chefs in the US as voted by her peers, and the dinner attested to that. The deserts were made after you ordered and were worth the wait. So cool!! That must have been such a huge highlight for KBJ! Congratulations to him! Robert and I went to VIR once to watch my brother race his Porsche. Nice track. I am sure he was no where near the speed of this auto tho! All I can say is they were going pretty fast. There is a sped limit set by the VIR driver at the front, but you have to react quickly because it is a short track with curves and a sort straightaway where you have to do the passing. He is looking forward to doing it again. I had crab cakes….excellent. The deserts was a decadent chocolate mousse with chocolate sauce, made to order. So rich we split it. Got a bit of a rush just reading this! Hi to KBJ for me. Hi Roger, It was so much fun watching the excitement of all the drivers. Can’t wait until I can give it a spin. KBJ says hello back.